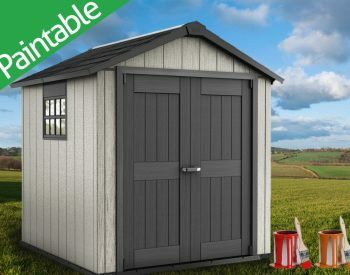 KETER FACTOR 6 x 3 plastic garden shed – a new outdoor storage product with attractive styling and excellent functionality ideal for storing garden implements, ladders, barbeque equipment, etc. The injection molded polypropylene resin panels are UV stabilised and are finished in a woodgrain texture. 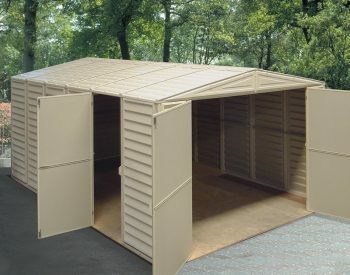 The lockable double door opening is 1.385m wide, which allows easy access for larger items such as shelving and boxes. 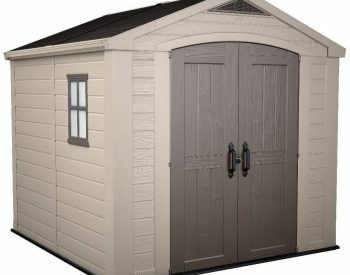 As with all KETER plastic garden sheds, the floor panel is an integral part of the structure, obviating the need for a concrete slab. 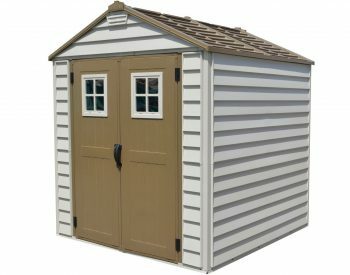 The FACTOR 6 x 3 is a sturdy, durable unit with steel reinforcing and is virtually maintenance-free. 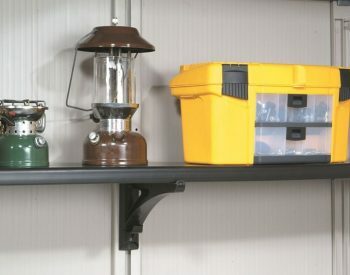 It is supplied in kit form and is easy to assemble using commonly available household tools. The instructions are in a comprehensive and easy-to-understand diagram format. Ventilation openings are fitted to the apex of the gable panels and there is provision to fit timber shelving (not supplied) if you wish. 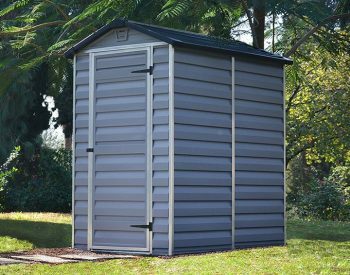 Plastic garden sheds are rapidly becoming the outdoor storage solution of choice – the robust polypropylene resin construction retains its good looks, and does not dent or rust as is often the case with a steel shed. 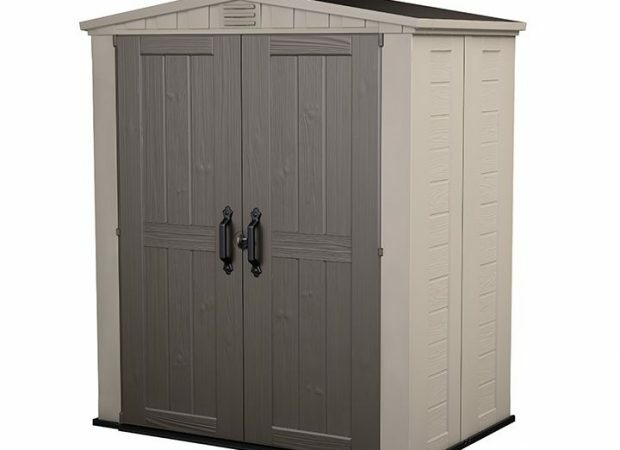 Once the FACTOR 6 x 3 is installed, the only ongoing maintenance required for a plastic garden shed is an occasional wash down with water and a soft brush to clean off any dust etc which may have accumulated. The polypropylene resin plastic used for the wall and roof panels is UV-stabilised and can be expected to give a long, maintenance free service life. 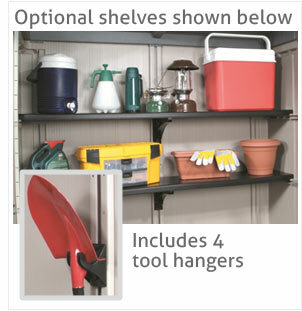 Note, the optional shelf kit comes with tool hangers, on this size shed, those tool hangers cannot fit large, long handled items. 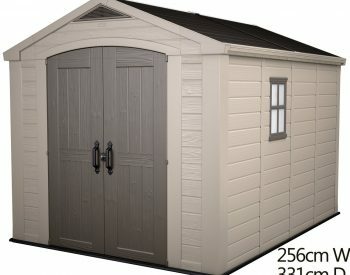 The shed was delivered within a few working days of ordering. It took two people roughly a few hours to put together. It was purchased to store camping gear in and it holds everything well. We have had a number of storms since putting it up and the inside has always stayed dry. Overall it looks good and serves it's purpose well. 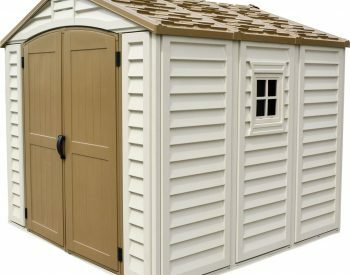 A shed in 3 hoursThis is the fourth Keter shed I’ve bought, and the third one I’ve put up at my current house. They’re not too hard to assemble, although I’ve noticed the construction has changed a bit over the last three years, so that the bolts are more fiddly to attach. Totally waterproof and good value. 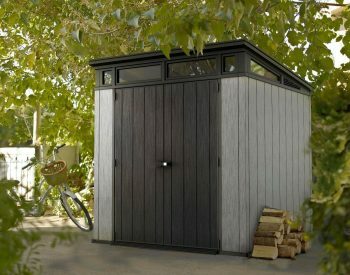 Thank you, Landera, for my lovely Keter shedMy Keter Factor shed is both functional and beautiful - the most aesthetically pleasing I've ever seen. I was also so pleased with Landera's exceptional service. I recommend both very highly. 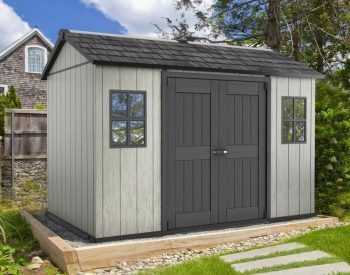 I am happy with the shed. It was easy to put up and is a nice size for where I needed it placed. The shed was tightly packaged resulting in 2 of the wall panels having their baffles crushed. However, Landera were very quick to respond and replaced the panels without issue which was very much appreciated. 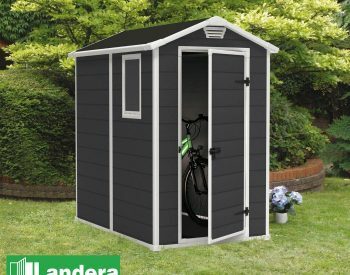 I have 2 of these 6x3 garden shed, they look fabulous, easy to erect and are waterproof, the delivery service was spot on too. I am very pleased with my purchase of this product. The shed arrived well packaged with clear instructions as to its assembly. The finished shed not only looks good but has been tested in very wet conditions and did not leak at all. Is it worth the money? I think so, but time will tell.